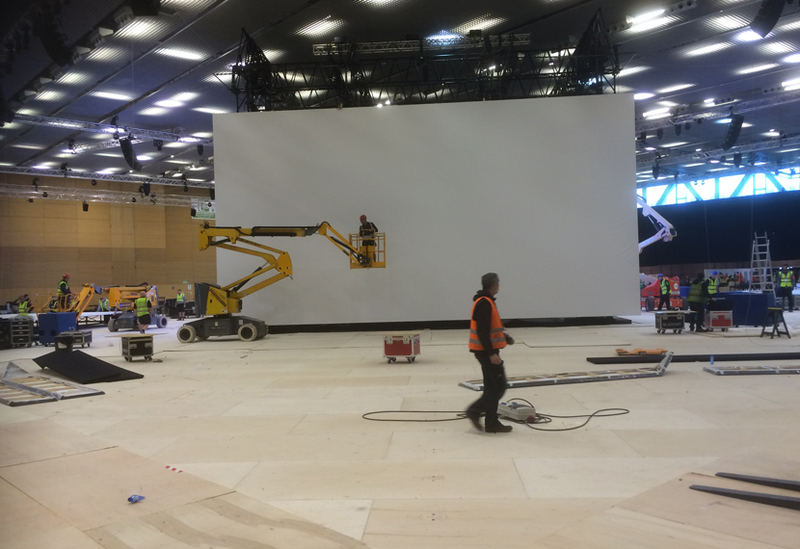 The fit up for this event saw us lay a vast area of floor, provide a central stage, four large suspended screens and Qmotion automation. 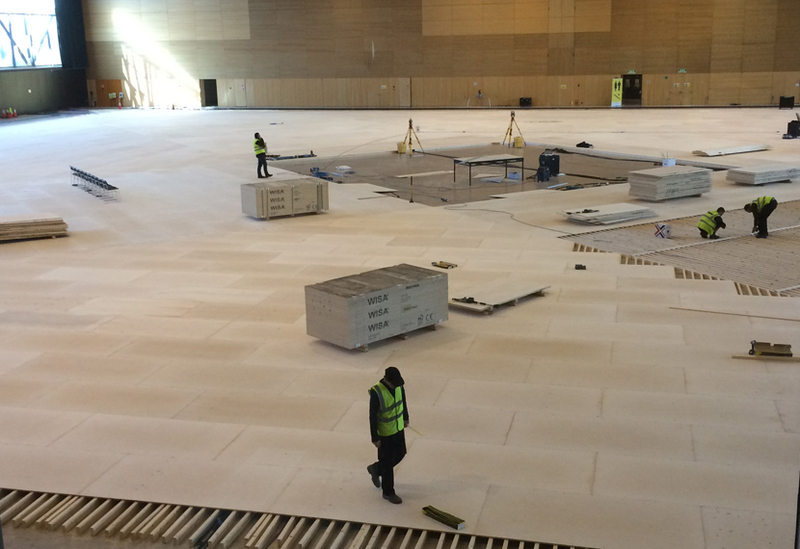 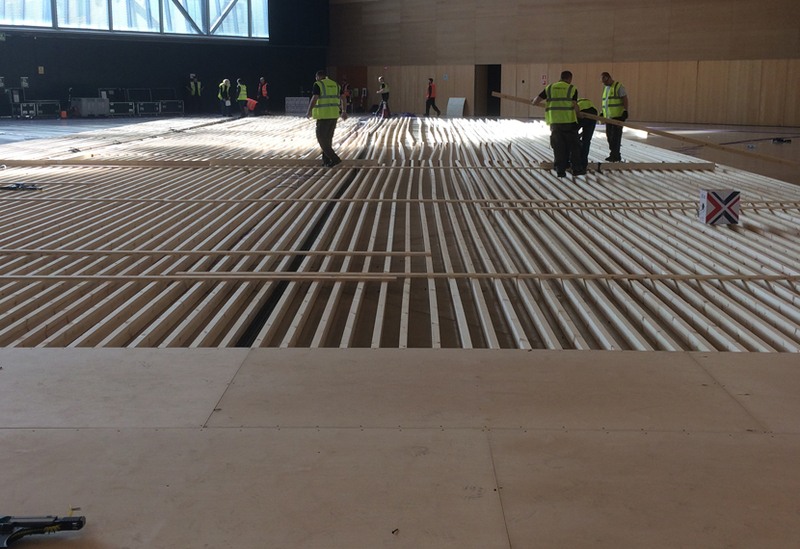 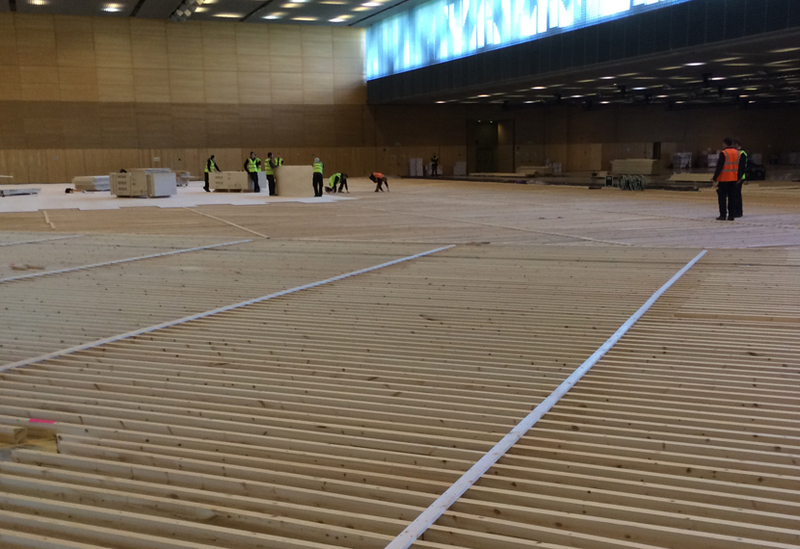 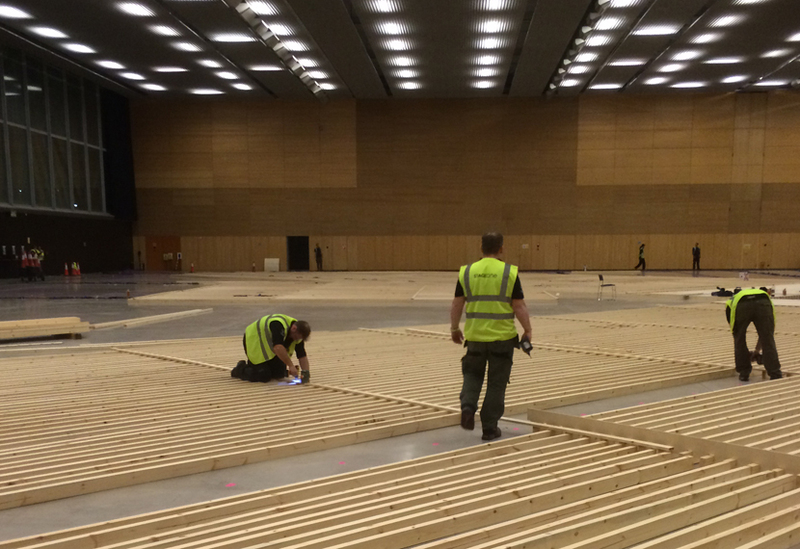 Working closely with data and power teams, we fitted the 11,000sqm timber and ply floor, accommodating the hundreds of miles of cabling for the virtual reality headsets worn by each of the 7,000 delegates. 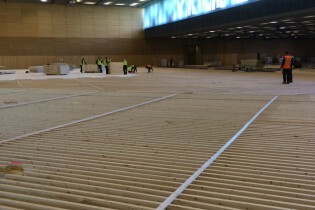 Over 4,500 sheets of ply were used for the floor alone, with two crews working round the clock for a week. 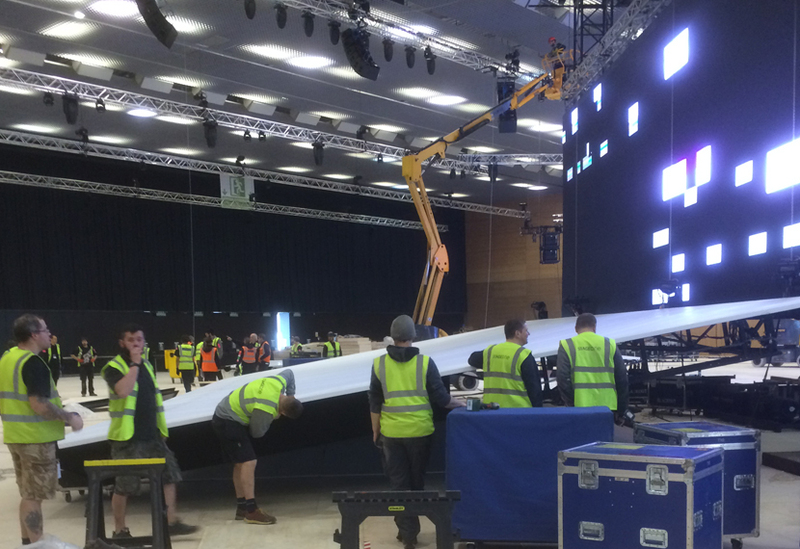 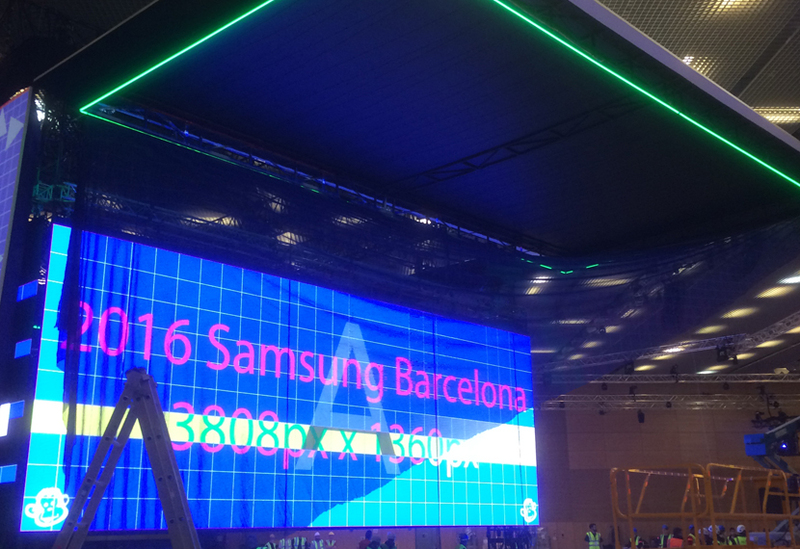 For the second phase of the fit up, crew installed a 15m by 15m central stage, with four 15m by 8m screens hung vertically, directly above. 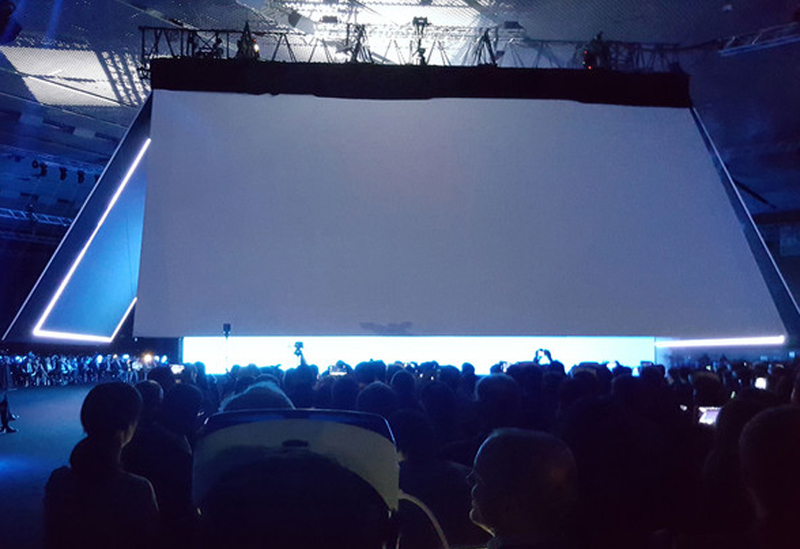 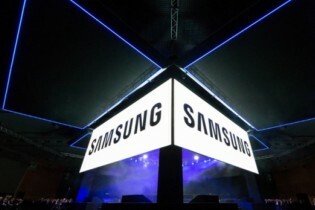 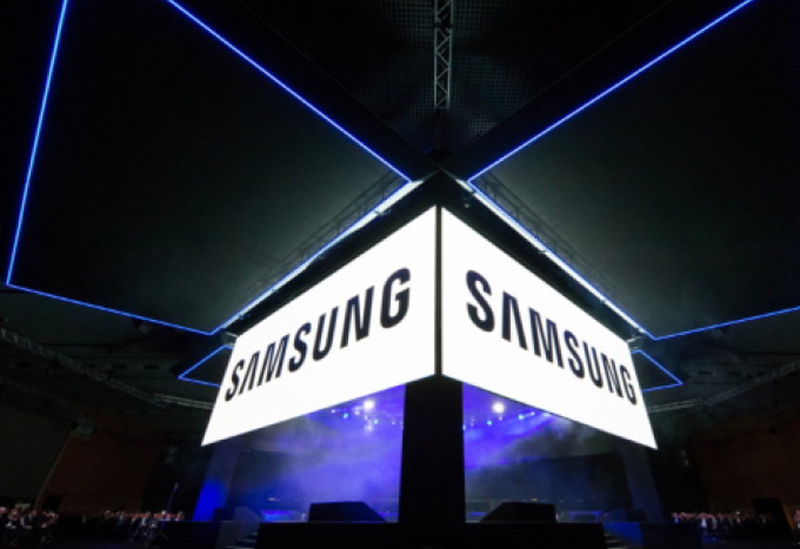 Made from steel frames, with white projection material to the front and black gauze to the rear, the Qmotion automated screens lifted for the reveal sequence during the hour-long show which included a dramatic entrance by surprise special guest, Mark Zuckerberg.